Give us a list of reforms, and you might get the money you need, Alexis Tsipras was told at a three-hour meeting with select EU leaders on Thursday (19 March). The Greek prime minister met with German chancellor Angela Merkel and French president Francois Hollande. 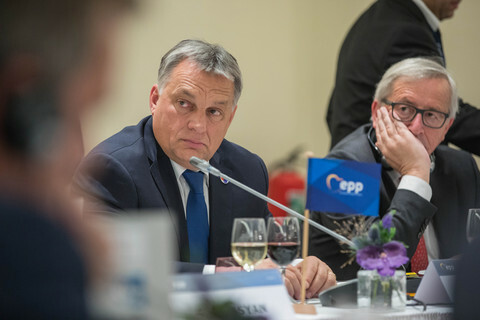 The heads of the EU Council and European Commission, Donald Tusk and Jean-Claude Juncker were also present, as well as European Central Bank chief Mario Draghi and Eurogroup chairman Jeroen Dijsselbloem. 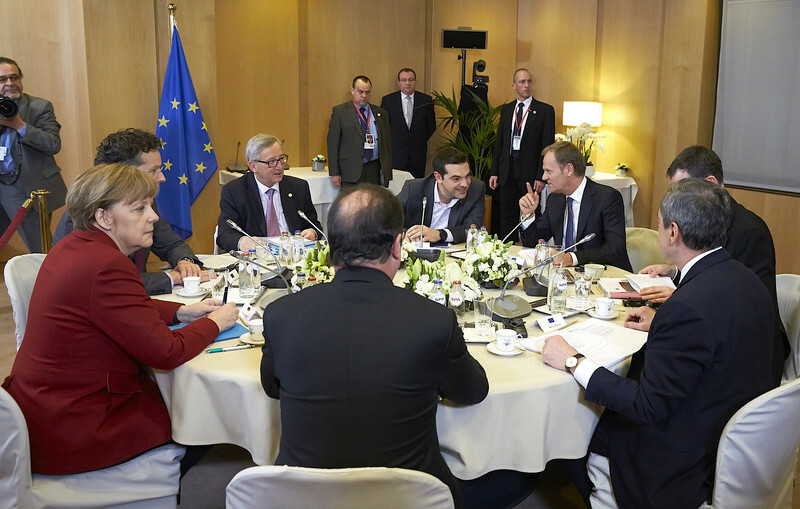 Tsipras was reminded that his government must stick to the Eurogroup’s previous, 20 February agreement. He was also told his partners are waiting for precise figures about the state of Greece’s finances and for a set of detailed reform proposals. "The quicker the reforms will be known, the quicker the informations will be provided, the quicker the money will be unblocked," said Hollande at a press conference. The EU’s patience with the Greek government seems to be running thin, with Merkel noting that "there was some disappointment" that Greece has not yet produced a full list of reforms since 20 February. “The Greek prime minister said he is willing to submit the list quickly because in such a situation trust is needed," she added. The leaders did not timetable a precise agenda, but there was clearly a sense of urgency. "The situation is serious. We don’t know how much money Greece has, where it comes from and where it goes," said an EU source. Greece is said to risk running out of money in early April, after paying €6 billion to its lenders in March. The fear of a bank run is also in the air. 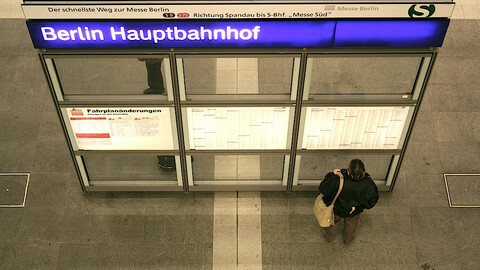 On Wednesday (18 March), the eve of the summit, Greek people withdrew €300 million from their bank accounts. Greek authorities’ lack of transparency has slowed the technical talks in Athens between the Greek government and EU experts, with reports that the EU mission had hit a dead end. 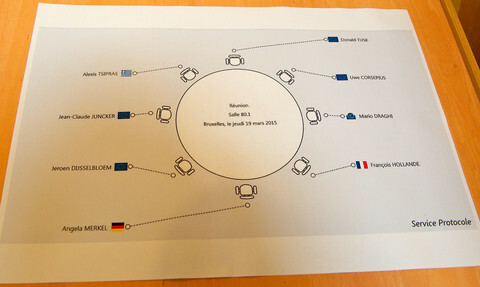 This led EU leaders to insist that the technical discussions between the Greek government and EU experts progress rapidly. Both German and French leaders said the reforms submitted by Greece will have to be evaluated before the Eurogroup gives a green light to unblock part of the €7.2 billion loan extension agreed earlier in February. "The fact-finding mission will continue its work on the ground” and “the Eurogroup is ready to meet at any time if need be," said Merkel. 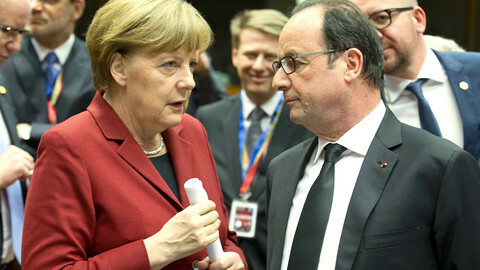 "Greece will have to provide technical informations in Athens and have political discussions in Brussels," said Hollande. While delivering their stark message, Merkel and Hollande tried to give Tsipras an opportunity to save face. 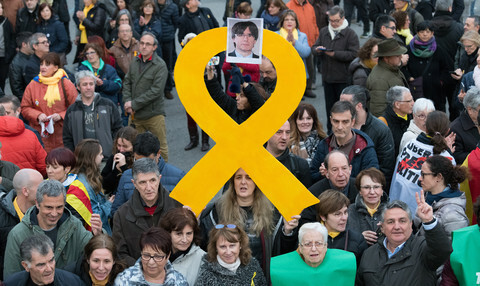 They insisted that his government would be in charge of the reforms, implying there would be no EU pressure to take this or that particular decision. "Tsipras has the right and the legitimacy to undertake the reforms," said Hollande. 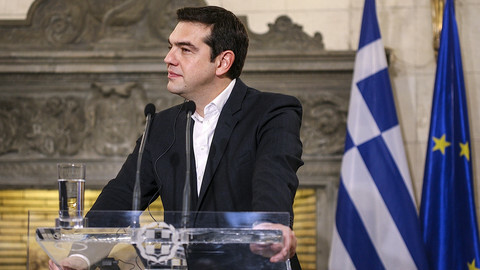 "The reforms will belong to the Greek government," said the Greek prime minister in a short declaration after the meeting. "We are more optimistic after this deliberation”. 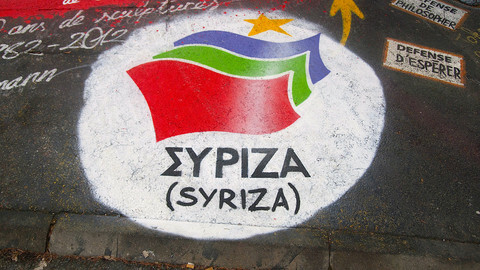 Greece’s partners seem to be aware that despite the financial urgency they must take into account the political situation in Greece, where cracks could appear in Tsipras’ Syriza party if he is considered to be bowing too easily to EU demands. "We talked about quick reforms that would be less politically costly for the government," the EU source noted. But EU leaders insisted the reforms remain budget-neutral. "For any reform by the former government that is suppressed, a new reform must be presented," said Hollande. A select company is meeting in the margins of Thursday's EU summit to discuss Greece, but the 'mini summit' has made some waves among eurozone government leaders. Marxist economist Giannis Milios had become very critical of the prime minister concessions to his European partners. 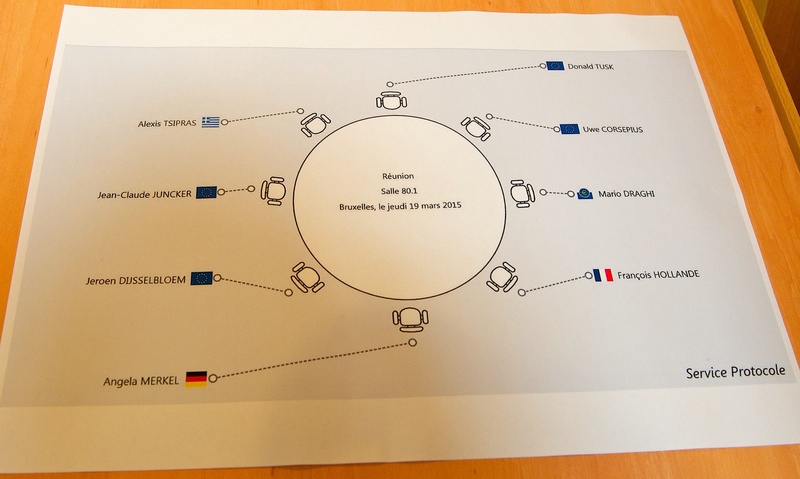 EU leaders will talk about energy, Ukraine, Libya and transatlantic trade. 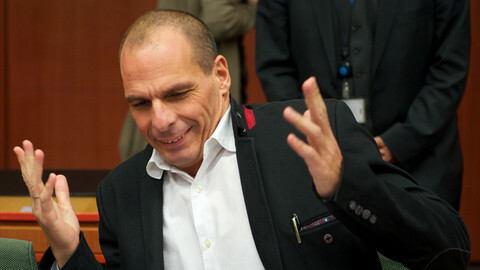 But the most heated issue - Greece - will be addressed in the margins of the summit. Greek prime minister Alexis Tsipras will travel to Berlin next week for clear-the-air talks with German counterpart Angela Merkel in a fresh attempt to end the impasse on Greece’s bailout.